Creating a Variety of Beer That Includes Tastes For All! On July 13th, 2018, Brothers Kershner Brewing Co. opened the big garage doors at the front of the building, let the sunlight and customers in, and started pouring their carefully crafted beers! 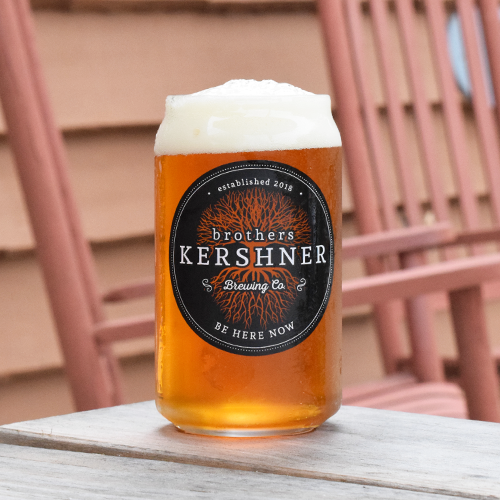 We’d like to give a big, warm welcome to one of the newest members of Skippack Village, Brothers Kershner Brewing Company! These brothers have joined forces to create a variety of beers that includes tastes for all as well as provide an atmosphere that is comfortable, welcoming and fun. When you step inside you’ll feel a sense of common ground where there is no such thing as social status. The establishment is built on a foundation of brotherly love, which owners Kevin and Basil have been working hard to cultivate. Brothers and owners, Kevin and Basil, come from a family of five which is where their deep value of family stems from. They were inspired by the idea of a tree of life which is depicted in their logo and represents their personal values and beliefs. Basil started his journey about ten years ago brewing at home and Kevin jumped in about 7 years ago. Their collaboration doesn’t stop at beer, though! These brothers also have a passion for music and look forward to playing live at the brewery. With Brothers Kershner Brewing Co. being so new and different, there have been many questions about how they got here. Kevin told us Skippack was one out of three possible towns to open the brewery in. The brothers landed in Skippack sometime in 2015 looking for the right location. They felt Skippack Village was the perfect town because there was nothing comparable to what they were envisioning. Their search for a location in Skippack ended at an old auto body shop where they spent the next year in making renovations. They didn’t change the structure, but the building needed lots of love. 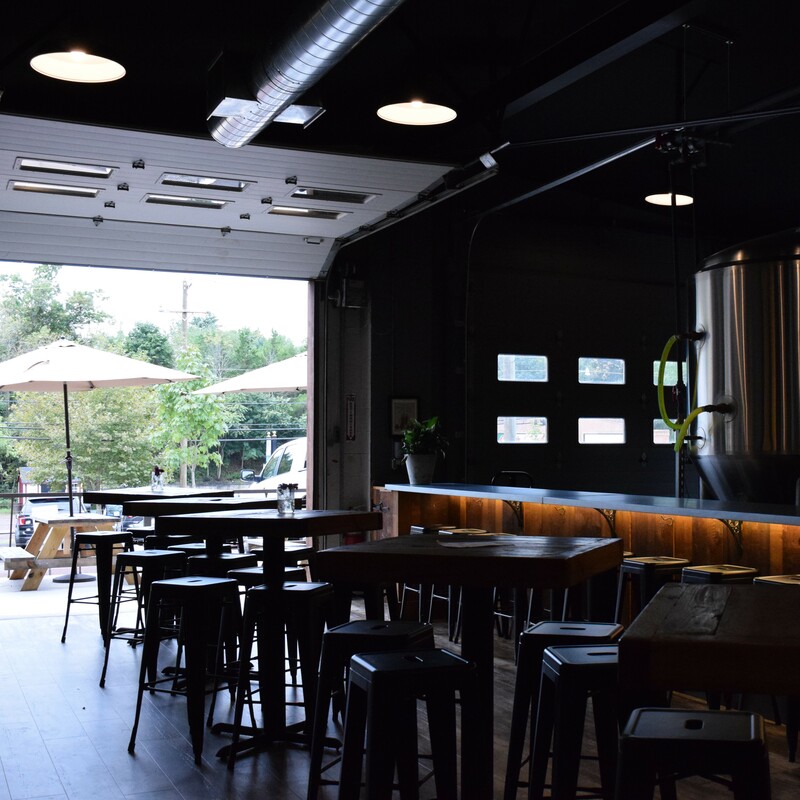 On July 13th, 2018, Brothers Kershner Brewing Co. opened the big garage doors at the front of the building, let the sunlight and customers in, and started pouring their carefully crafted beers! 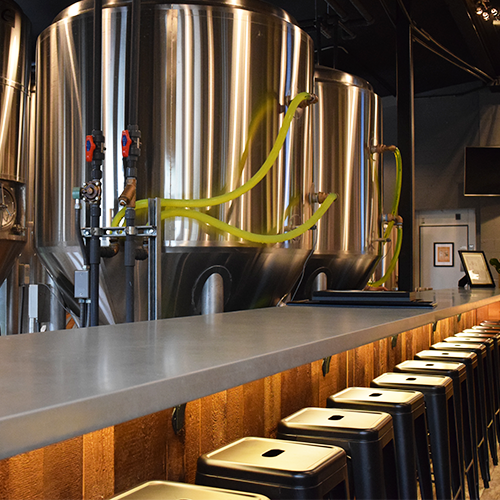 After being opened only a few short months, it is clear that the brewery compliments the other businesses in the village and adds another layer of attraction for those spending the day in the village. ‘We are another link in the chain of Skippack’ as Basil says. The brothers intend to build a greater sense of community as well as be more involved in the greater brewing community. Montgomery County has a growing brewing community where everyone has a niche. 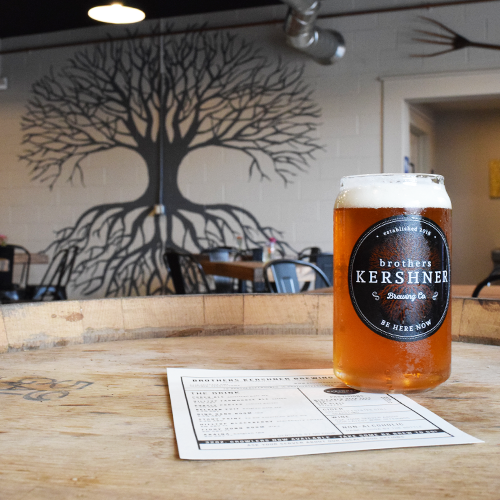 The Brothers Kershner Brewing Co. aspire to be the brewery that has a little something for everybody by maintaining a well-rounded menu of beer. This month, look out for their new autumn offerings including ‘Lone Eagle Dirt Road’ which is a brown ale and a new pale ale is also coming out soon! Brothers Kershner Brewing Co. also serves Pennsylvania wines, ciders, and snacks. It is BYOF – bring your own food, so be sure to grab something yummy from one of the restaurants in the village if you’re hungry. If you forget, the Skippack Village Italian Market which is next door offers a limited menu that they will deliver. 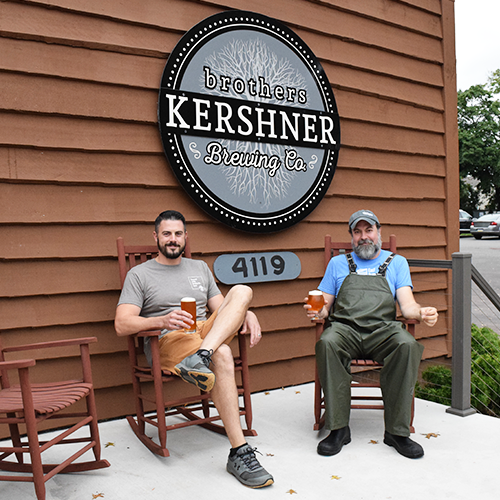 We’re excited about our new neighbor in the village and if you are too follow them on Facebook and Instagram to stay updated and see what’s next for the Brothers Kershner Brewing Co.!